In the new CBA, it states that “any club” using the tag a third time on a player would have to tender that player at 144 percent of his previous year’s salary, but not specifying whether it had to be the same club tagging the player each time. Confusing I know and that was the crux of Brees’ argument. Since it states “any club” his argument was that the franchise tags applied should be counted regardless of what team applied them. Because of this ruling, Brees’ 2013 tag would be set at 144 percent of his 2012 salary, rather than 120 percent. Brees’ franchise tender is worth $16,371,000, meaning his 2013 tender would be set at $23,574,240, putting his two-year total at $39,945,240. If Brees receives a long term deal from the Saints that will prevent the 2013 tag from ever being used. 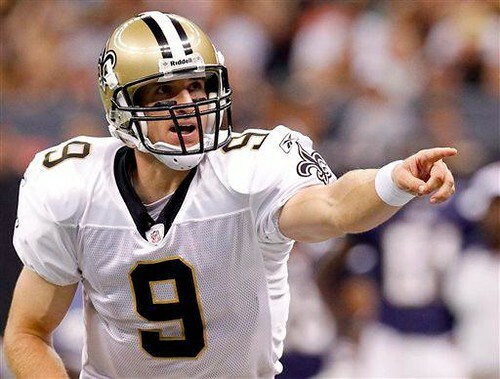 However, the decision creates a point of leverage for Brees negotiations and also clarifies a rather murky area in future negotiations across the league. The Saints and Brees have until July 16 to work out a long term deal. If no deal is reached by that date, Brees will be playing on a one year contract and the Saints will then be all but forced to use the 2013 tag on him for a cool 23.6 million dollars. Everyone wants to think that the Saints not signing Brees has some hidden meaning. That there might be trouble in the Big Easy. The truth is, this is a contract negotiation. A long one, but it is still just a negotiation. Nothing more, nothing less. The Saints will sign Brees and if I’m right, he will become the highest paid QB in the NFL. Drew Brees = winning.